Most people assume that because baby teeth are temporary, they aren’t that important. However, a child’s first set of teeth is essential for healthy adult teeth as they set proper spacing for them. Teach your child proper dental care and healthy habits that will help them in adulthood. We are born with teeth are already under our gums. The appearance of a baby’s first tooth is always exciting for parents, but sometimes painful for babies. Within the next two years, the rest of the baby teeth will follow. 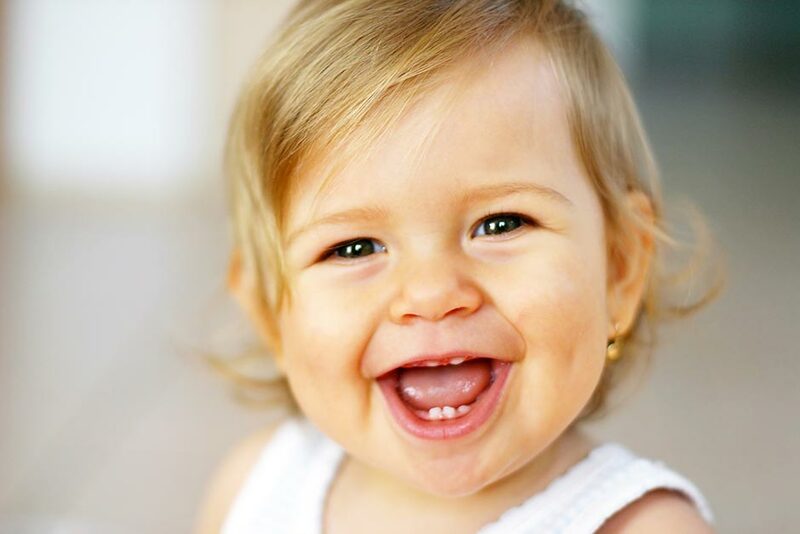 By the time a child is three years old, their first set of teeth is usually complete. These first teeth will set the stage for placement of adult teeth. As soon as your child can have solid foods, avoid giving him or her processed food and that with added sugar. Giving your child sweet treats and foods laden with sugar will cause early tooth decay. Children are not born with a love of sugar. Babies fed with a home-made, balanced diet free of sugar have lower risks of becoming addicted to sugary foods. When you don’t have time to make baby food, be sure to choose healthier foods that are less processed and have low to zero sugar content. Avoid store-bought juices; they contain more sugar, artificial coloring, and other additives that may be harmful to you and your child. Remember, sugar is a tooth’s worst enemy, so avoiding foods with added sugar and cutting back on naturally sugary foods can be very helpful. 1. Always keep your baby’s mouth clean. Make sure to rinse your baby’s mouth after each feeding. 2. Once the first tooth comes in, make sure to brush with a fluoride toothpaste. Consult your pediatric dentist for the recommended amount of toothpaste for your child. 3. Never allow your child to sleep with food or a bottle in their mouth, as this can stimulate acids in their saliva which may harm your little one’s new teeth. 4. It pays to check if your water system contains fluoride. Drinking water containing fluoride can help protect teeth from decay. 5. As soon as the first set of teeth comes in, teach your child to drink from a sippy cup. Weaning your child from the bottle can help preserve their teeth. 6. As mentioned above, avoid sugary snacks and store-bought juices. Always try to stick to homemade juices and food. 7. Introduce your child to his/her dentist as young as possible, make sure to visit the dentist regularly. 8. Make brushing fun and exciting. Engage your little one when brushing for them and assist them when they are old enough to brush their own teeth. Always brush after every meal. The Sunshine Dental Team visits Upper Susitna elementary schools regularly to teach good brushing techniques and provide free screenings. We work to develop good relationships with children based on trust and understanding to help your child have a positive dental experience and develop good dental habits. Contact us today to schedule an appointment for your child at (907) 733-2273.